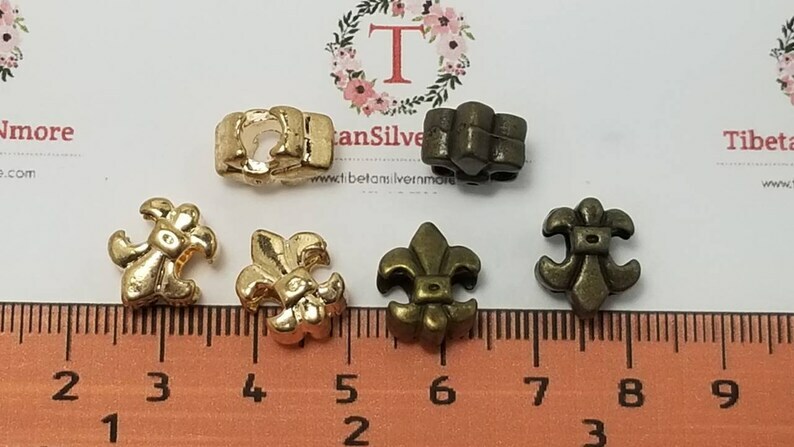 12 pcs per pack 13x11mm 8mm thickness Reversible Fleur de Lis Large Hole Beads Rose Gold or Antique Bronze Lead Free Pewter. Nice looking product that I like to use for kumihimo. 3 pcs per pack 51x35mm 4mm thickness Filigree Elephant Pendant Antique Bronze Finish Lead Free Pewter Large.